Description A fun and challenging spacial puzzle game with 48 Levels and a Level Editor! 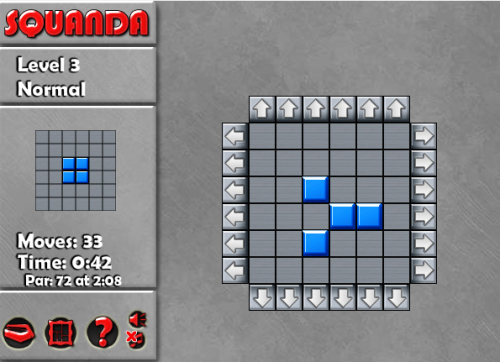 Controls Use the Arrow Blocks to shift Rows and Columns to match the Game Board to the Solution Board. I like the games of its kind with moving blocks. Strong original puzzle idea in this one.